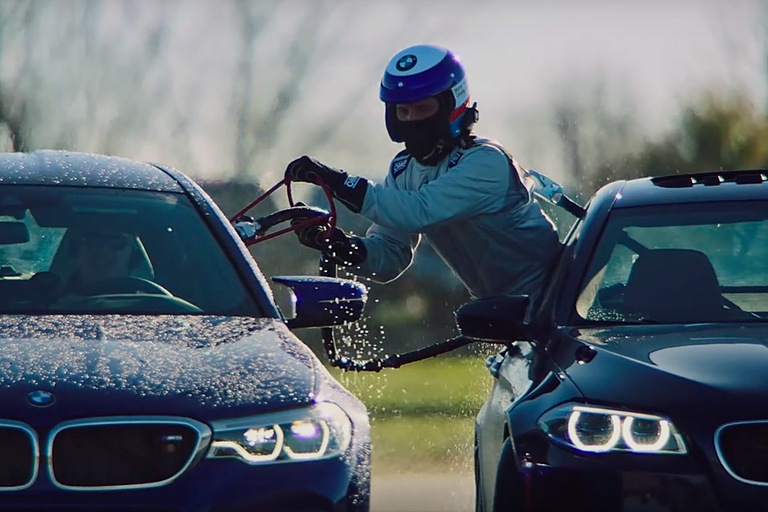 BMW just broke the Guinness World Record for the longest vehicle drift in 8 hours, crushing the previous by over 140 miles. But that's not the real news. While driver Johan Schwartz was cruising around the track, Matt Mullin and Matt Butts would refuel the M5 from another M5, while in motion. This moving pit-stop allowed for the car to keep going and set the bar for a seemingly unbeatable record.